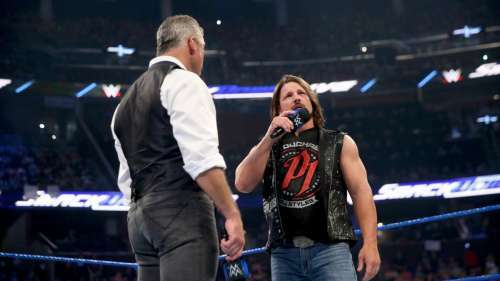 This week's episode of SmackDown Live was pre-taped last week. WWE tried their best to avoid spoilers, but the social media didn't let them do this. However, there were still some exciting things left to cover. 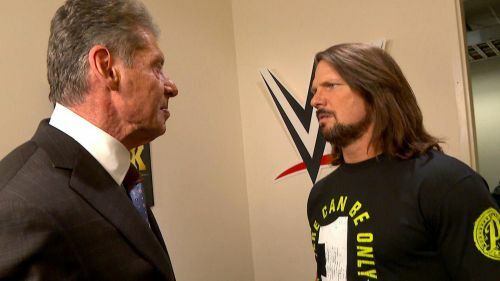 During the ending of this week’s show, Vince McMahon called AJ Styles to his office and asked him to reveal his real identity. Styles then listed all the things he has accomplished in the company. Vince asked him why he didn't wrestle during the show and why Bryan is dominating in the house that AJ Styles has built. Vince then said that he and Styles have an animal hidden inside, begging to come out. The chairman asked him to show who the “real” AJ Styles is, and unleash the animal. He then slapped Styles, and then got attacked by the former champ. Fans from all around the world are now questioning what this segment will lead to? Here are 5 things that could happen after Styles' attack on Vince McMahon. Over the past few months, WWE has been getting a lot of heat from the fans for not doing what they want. A few weeks ago, the McMahon family came to Raw and announced that from now on they will do exactly what the fans want. AJ Styles’ winning the Royal Rumble could be a part of that plan. Styles has now attacked Vince McMahon and revealed that he is all set to unleash his real side. He could now win next year’s Royal Rumble match to start a feud with The Authority. He could choose Daniel Bryan as his opponent. I know that we have already seen a feud between these two superstars, and another program involving these two could easily bore the fans. However, we should not forget that currently Roman Reigns is not in the company, and now Styles is the biggest superstar. Bryan recently had a character change, and now he is the “new” Daniel Bryan. If he and Bryan are going to feud again, then Styles could win the Rumble match. However, to make things more interesting, WWE could make Bryan a new Authority figure, and this will entertain everyone. Fans have always liked a Face vs Authority storyline, and the same could happen this time as well. A more exciting way to start his rivalry against The Authority is to give the WWE Championship to another wrestler.